For users of COMSOL Desktop®, COMSOL Multiphysics® version 5.2a brings intuitive new capabilities for a streamlined modeling workflow. You can now autocomplete text in many fields, automatically reconnect while working in the client-server mode, and save your files more quickly. Browse all of the updates to COMSOL Desktop® below. You can now press Ctrl+Space for autocompletion in many edit fields to bring up a list of variables, parameters, and other expressions available in that context. 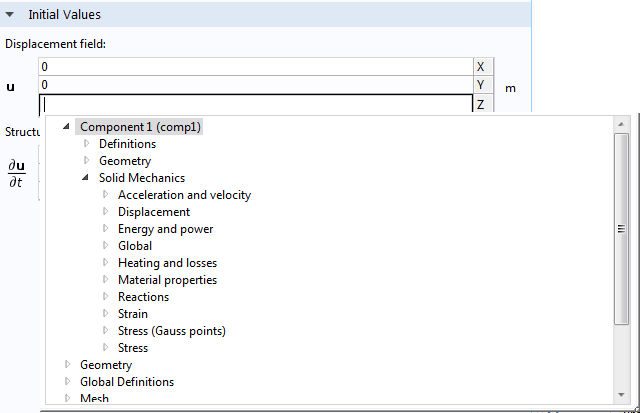 Previously, autocompletion was only available for input fields in results features and can now be used for physics settings, variables, parameters, equation view, and tables in results. The autocomplete tree in a Variables node. 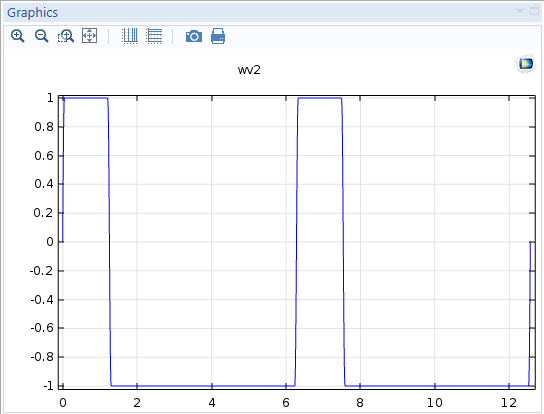 If the network connection is lost while using COMSOL Multiphysics® in client-server mode, the connection is now automatically reestablished when the network connection is restored. 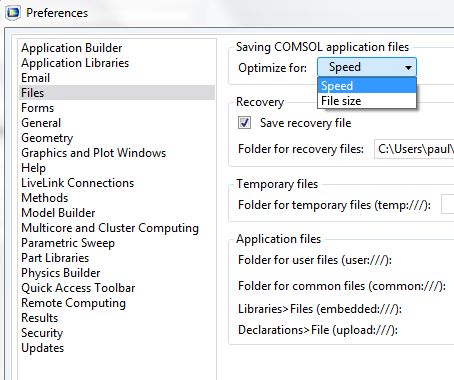 MPH-files can now be saved faster thanks to a new Optimize for Speed option available in the Preferences window. Files saved with the Speed option will be slightly larger on disk. The option Optimize for File size will be slightly slower, but will generate smaller file sizes. 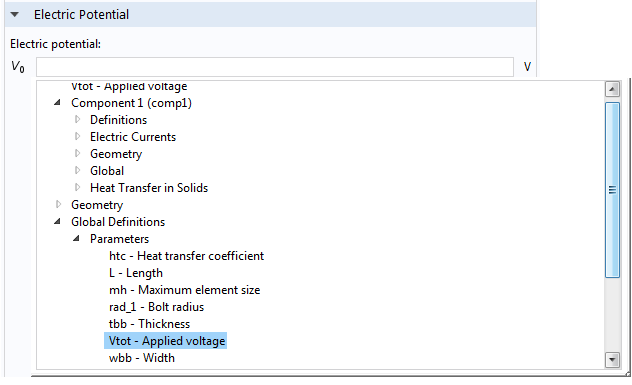 In earlier versions of COMSOL Multiphysics®, you have been able to manually combine physics interfaces before adding the required multiphysics coupling. 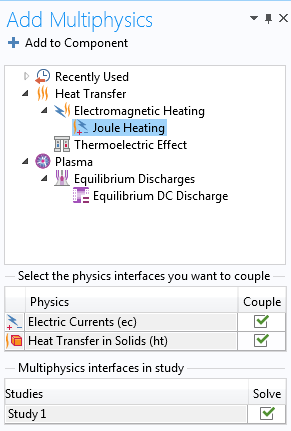 For example, you start by setting up and solving a model for Electric Currents and then move on to adding Heat Transfer in Solids for an Electromagnetic Heat Source (Joule heating) multiphysics combination. 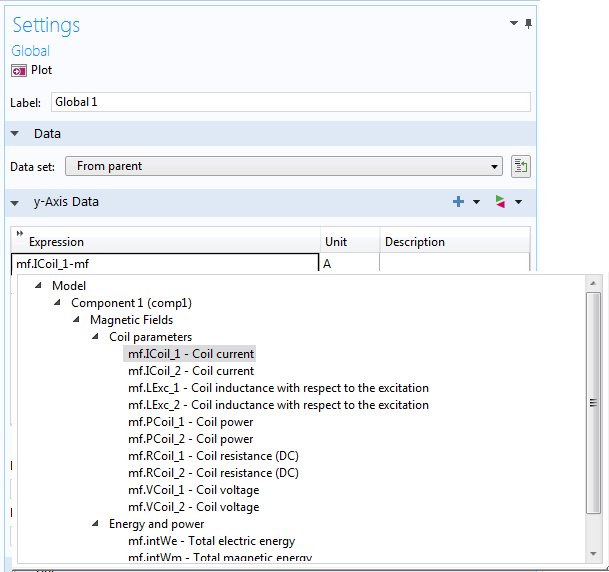 In this case, you right-click the Multiphysics node to add the Electromagnetic Heat Source multiphysics coupling. For added flexibility, a new alternative method is available in version 5.2a. 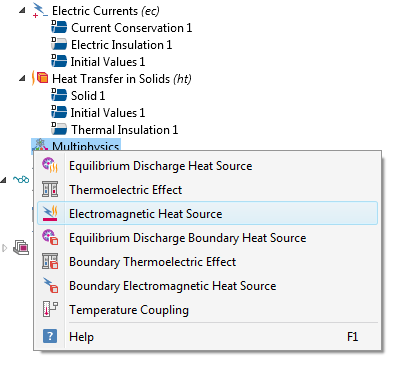 Once you have added the physics interfaces applicable to your model, you can click the Add Multiphysics button in the ribbon of COMSOL Desktop®, then select from a suggested list of multiphysics couplings in the new Add Multiphysics window. The menu option for adding common multiphysics couplings has been available since earlier software versions, in this case, for applications that involve Electric Currents and Heat Transfer in Solids. Two new units are available in COMSOL Multiphysics® version 5.2a: ppm and %. They can be used both as inputs, such as the values of parameters and variables, and as outputs in results and visualizations. The following syntax options are available: %, percent, ppm, and partspermillion. 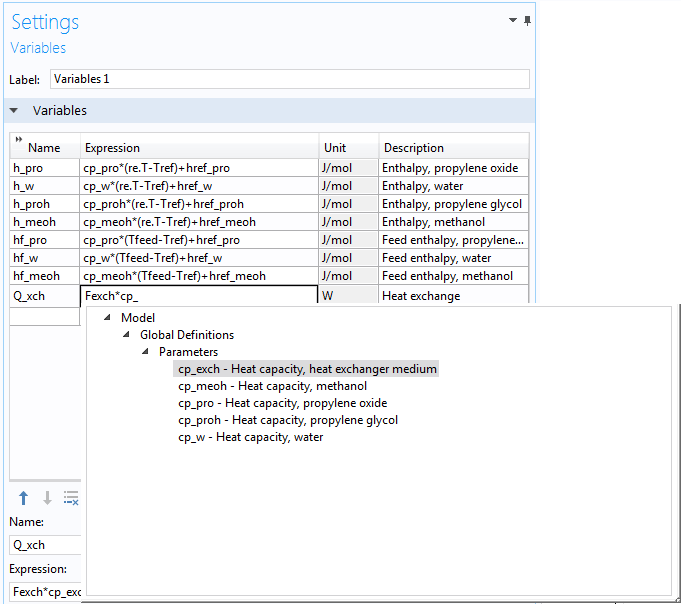 The Equation View functionality, used for viewing the built-in variable and equation definitions, has been extended and now shows the list of internal variables used for coordinate systems. In addition, Equation View is now available as a node at the top level for physics interfaces. Equation View is now also available at the top level for physics interfaces. In a 3D component, you specify interpolation functions under the Definitions node by supplying sample function values for a point set. 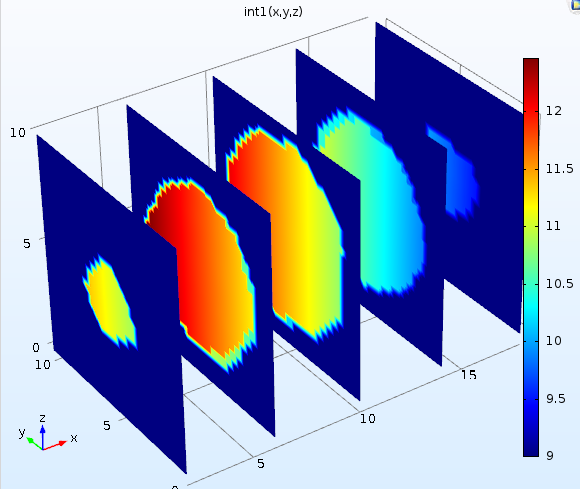 This functionality has been available in previous versions of COMSOL Multiphysics® and, in version 5.2a, has been made more robust and generalized in order to give an accurate evaluation in the region outside the specified point set — extrapolation. 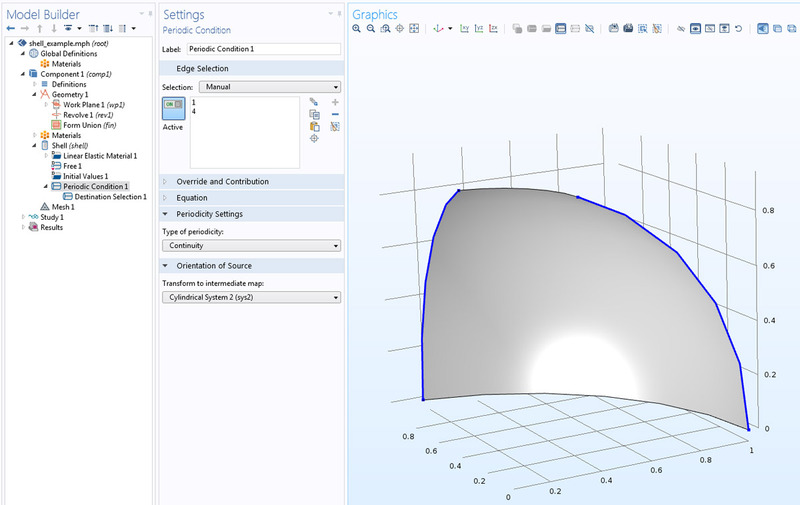 Inside the convex hull of the sample points, the evaluation is typically unchanged compared to earlier COMSOL® software versions. In addition, this new extrapolation functionality makes it possible to specify values at points on a plane; that is, a set of sample points that span a two-dimensional subspace and still get a reasonable approximation for out-of-plane evaluations, as long as they are in the region of the plane. Data points located in an ellipsoid. The extrapolation method Specific value sets a fixed value for the extrapolation domains. This fixed value was previously returned outside an approximation of the convex hull of the point cloud. Now, the value is instead returned for extrapolation points outside a bounding box of the point cloud. A linear approximation is used inside the box, which gives a more predictable behavior. If you want to use the old behavior, set the Specific value to NaN, combining the interpolation function with an analytical expression that is used when the function value is NaN. 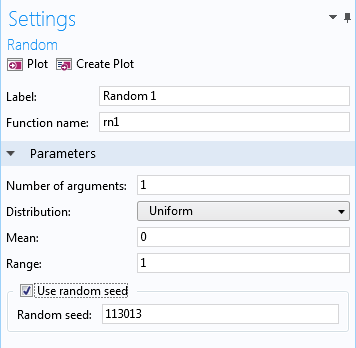 Random functions can now use a random seed to initialize the random number generator. This functionality is used when a new set of random numbers is needed in a simulation, while having the same distribution. For user-defined functions of the Waveform type, you can now specify the duty cycle. This setting is available for Square and Triangle waves. To analyze periodic structures, a new tool is available to more easily define the orientation of the periodic boundaries. This tool is available in a new section, Orientation, found in the Settings window of the Periodic Condition feature nodes. 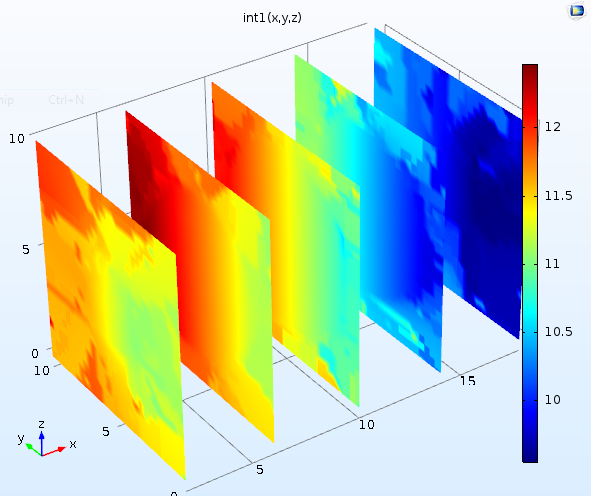 The orientation feature is available for the physics interfaces that provide a periodic condition option, including Solid Mechanics, Shell for structural analysis, as well as many of the interfaces used for heat transfer, acoustics, electromagnetics, fluid flow, and chemical analyses. To access the feature, some physics interfaces require that you enable the Advanced Physics Options from the Show menu icon in the Model Builder toolbar. The orientation feature is general and lets you specify the method used for transforming the source and destination boundaries to an intermediate map, thereby linking each point at the source boundary to a point at the destination boundary. Periodicity conditions for structural shells in 3D act on edges rather than surfaces. In this case, the orientation cannot be determined automatically, but you have to provide coordinate system information using the Orientation of Source and Orientation of Destination features. The default coordinate system used for the intermediate map is the Global coordinate system, and this can be used if the periodic edges are parallel. In other cases, you need to use the Destination Selection subnode and supply the coordinate system that should be used for the destination edge. For periodic conditions on solids, the automatic option is often sufficient, except for more advanced cases, such as if the periodicity has a 90-degree twist. In this case, the mapping has to be specified by the user. 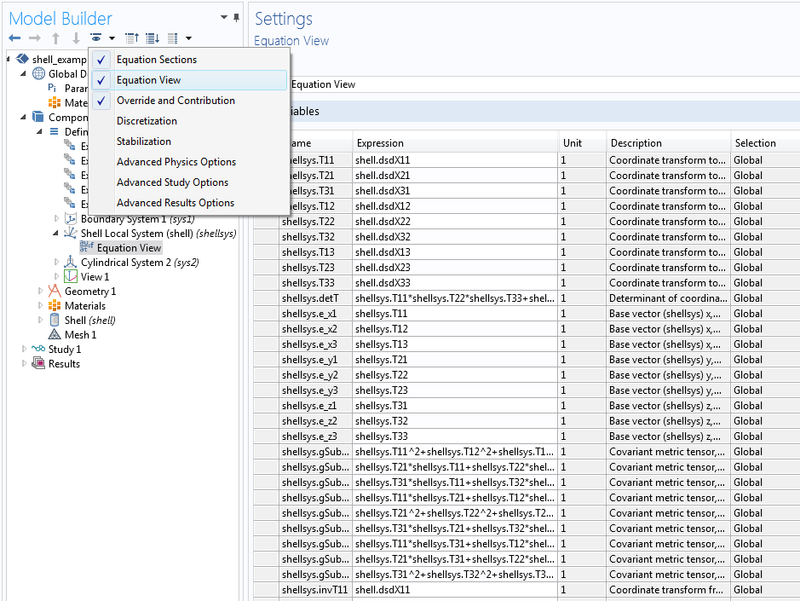 The Settings window and new options for defining the orientation of a boundary used for a periodic condition.